One Two Three has fetched an encouraging start in America, while U.K. isn't strong enough… Race has registered a 65% fall in U.K. and 69.8% fall in America in its second weekend. However, the combined total from these two markets [at the end of 10 days] is over Rs. 10 crores, which is impressive… Jodhaa Akbar is now fading out. 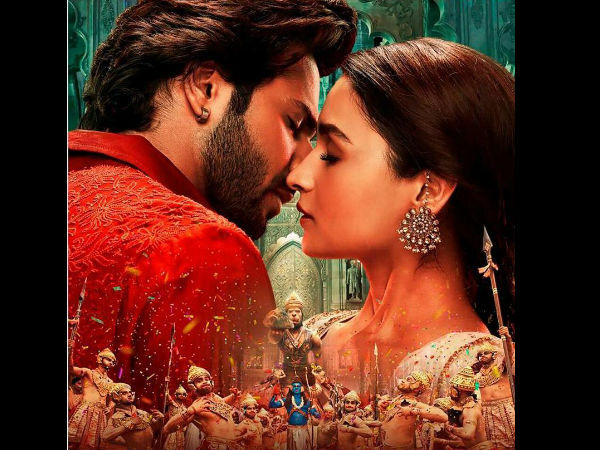 The film has emerged a Super Hit in Overseas and the combined total from U.K. and America stands at approx. Rs. 21.67 crores. Fabulous! Weekend: March 28 - 30, 2008. * Race [last weekend: No. 10, this weekend: No. 14]: In its second weekend, the film has collected £ 114,106 on 45 screens, with the per screen average working out to £ 2,536. Total: £ 679,560 [approx. Rs. 5.41 crores]. The breakdown:- Friday: £ 31,141; Saturday: £ 51,800; Sunday: £ 31,165. * One Two Three has debuted at No. 21 position. In its opening weekend, the film has collected £ 37,484 [approx. Rs. 29.83 lacs] on 13 screens, with the per screen average working out to £ 2,883. The breakdown:- Friday: £ 8,999; Saturday: £ 16,079; Sunday: £ 12,406. * Jodhaa Akbar [last weekend: No. 31, this weekend: No. 57]: In its seventh weekend, the film has collected £ 2,050 on 4 screens, with the per screen average working out to £ 513. Total: £ 1,004,583 [approx. Rs. 7.99 crores]. The breakdown:- Friday: £ 256; Saturday: £ 1,023; Sunday: £ 771. * Black&White [last weekend: No. 70, this weekend: No. 104]: In its fourth weekend, the film has collected £ 62 on 1 screen. Total: £ 51,177 [approx. Rs. 40.74 lacs]. The breakdown:- Friday: £ --; Saturday: £ --; Sunday: £ 62. * One Two Three has debuted at No. 30 position. In its opening weekend, the film has collected $ 246,724 [approx. Rs. 98.57 lacs] on 42 screens, with the per screen average working out to $ 5,874. * Race [last weekend: No. 18, this weekend: No. 31]: In its second weekend, the film has collected $ 241,938 on 96 screens, with the per screen average working out to $ 2,520. Total: $ 1,184,265 [approx. Rs. 4.73 crores]. * Jodhaa Akbar [last weekend: No. 54, this weekend: No. 71]: In its seventh weekend, the film has collected $ 17,235 on 15 screens, with the per screen average working out to $ 1,149. Total: $ 3,422,704 [approx. Rs. 13.67 crores].